How prepared are gig workers for retirement, and how can older Singaporeans steer clear of financial mistakes? CREA researchers considered these questions at a roundtable on ageing and financial preparedness. Read the summary here. Image credit: Sim Shuzhen. 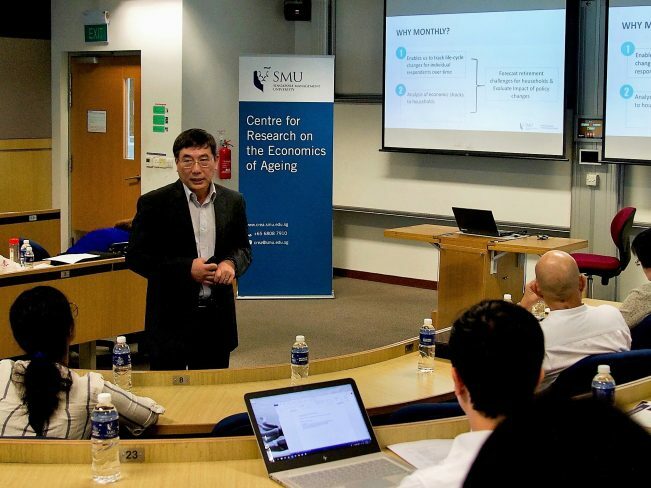 Above: Professor Benedict Koh of Singapore Management University Lee Kong Chian School of Business speaking at the CREA roundtable on ageing and financial preparedness in Singapore.